While many home security systems can be installed by the average do-it yourselfer, there are times when it makes more sense to have a security system installed by a pro. Hard-wired systems need to be professionally installed. Wireless alarm systems can easily be installed by the homeowner. However, it may make sense to have larger homes or more complex home automation systems installed by a trained technician. 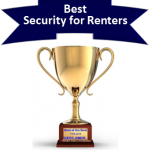 We recognize the following companies as top selections for the Best Professionally Installed Security and Home Automation Systems of 2018. The central control panel is the hub of any professionally installed alarm system. Most are wireless and include the keypad. It controls all the sensors and alerts the monitoring station of any activity. Panels can include a full color touchscreen to make them more user friendly. The technician will install magnetic sensors equipped at the doors and most vulnerable windows to protect the perimeter of the home. They can be hard-wired, but are more commonly set up with wireless transmitters. A professionally installed alarm system will all include interior sensors such as motion detectors and glass break sensors. This ensures that the security system provides a second layer of protection. These sensors will cover larger areas with minimal expense. Most home security system alarms offer optional video surveillance cameras that can record events, remotely monitor what goes on when you are away and even notify you when motion is detected. 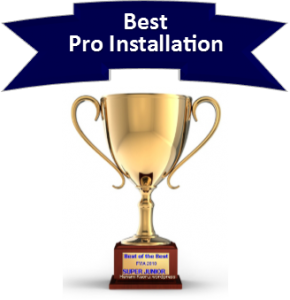 A pro install will ensure that they are set up for maximum coverage and are operating correctly. Advanced wireless security systems can include environmental sensors that can provide protection from Fire, CO, Flooding and Frozen Pipes. The installer will ensure that they are placed properly to detect any problems. Sensors can be set up to notify one if pool gates, medicine cabinets, gun cabinets or office drawers are opened….without setting off an alarm to the monitoring center. Set up by a professional, they can notify you of activity in sensitive areas. Mobile apps provide remote access to the system from a smart phone, tablet or computer when one is away from the home. A professional installer can help you set up notifications to be sent when there is activity. The best home security systems can be equipped with home automation technology that allows one to turn on lights, unlock doors and manage heat and energy systems. You cab get tips from your installation technician on how to get the most out of your home automation features. Most of the best professionally installed alarm systems offer cellular monitoring services. Because there are no phone lines that can be cut, it is the most secure means of communication. With a professional set up, you will be assured of the best possible cellular signal. Premium Home Automation with Free Interactive Capability. A lot has changed for Vivint in the past year. In lieu of their confusing myriad of monitoring options that combined equipment and monitoring service costs, they have introduced a streamlined new approach that is simple and transparent. They now offer just a couple of monitoring packages. Both include comprehensive home automation. One with video…one without. Equipment charges are separate. Consumers can elect to purchase the equipment outright….or finance the equipment, in conjunction with monitoring, with 0% interest. If the equipment is purchased separately…there is NO monitoring contract. This provide greater payment felxibility and a much more transparent solution to home security. Exceptional Mobile App – When it comes to home automation, the ability to automate and control features remotely is critical. The Vivint Home App rates 4.5 out of 5 stars and sets the bar when it comes to ease of use while proving a very stable platform. Outstanding Equipment and Monitoring Capabilities – Vivint alarm systems include the Vivint Sky touchscreen panel which controls the latest Z-wave home automation devices. From small appliance and lighting, to door locks and home energy management technologies…Vivint has you covered. They combine this with full featured monitoring that incorporates capabilities which include: Crash and Smash Protection, Geo Location Services…as well as 2-way voice supervision. Straightforward, Competitively-priced Equipment and Monitoring Fees – Vivint offers a Flexpay financing program to minimize up front costs and make the system affordable. Monitoring rates are competitive and, if you elect to purchase the equipment out right, there are No Monitoring Contracts. Vivint offers one of the most comprehensive security and home automation programs in the business. They provide state of the art hardware, which is professionally installed, and competitive monitoring packages. In addition, Vivint features all the latest interactive solutions such as Crash and Smash protection and 2-way voice authentication. For an in depth analysis of what makes Vivint the #3 provider of security and home automation in the nation, read our Vivint Home Security Reviews and get a FREE Quote. For those shopping to get a home security system installed by a professional, you cannot find any more respected brand on the market than ADT. ADT has been rated #1 in the SDM Top 100 over the past three decades. They have been trusted to help safeguard far more households,families and enterprises than the next 10 rivals put together! ADT features a heritage which covers more than a hundred and forty years. A professionally installed system by ADT Authorized Premier Provider – Protect Your Home includes the most reliable, state of the art equipment…set up by trained, experienced, background-checked technicians. It is monitored by one of six redundant monitoring stations owned by ADT – the most trusted name in the industry. Find out why more than 6 million customers entrust their home security to a professionally installed system monitored by ADT. While Protect America is most well known for having pioneered the DIYf Home Security System, many people do not realize that they also offer a professional installation option in much of the country. They have a dealer network that will install the system and even help you customize settings and set up schedules for home automation. For those who want the convenience and peace of mind that the system was installed by a professional…this may be well worth the $250 charge. However, they have streamlined the entire process so that the average homeowner can complete the install on their own, or with the help of their experienced tech support over the phone. With more than 20 years of experience, Protect America has the expertise to provide whatever level of assistance is required. $0 Up Front Fees – Protect America makes it economical for almost anybody to obtain a full featured security and home automation system. They offer a full range of options from a simple security bundle to the Platinum Package with as much as a $1400 value of hardware- with little or no initial investment! Inexpensive Basic Monitoring Rates– If you’re on a tight budget, or don’t need all the bells and whistles, Protect America features monitoring prices for as little as $19.99 /mo. Lifetime Equipment Warranty -Equipment is warrantied for as long as you continue to be a Protect America customer. Rate Lock – While many competitors have contract with escalation clauses which allow them to be able to increase your rates following the 1st year, Protect America locks in your rate for the same services for life. 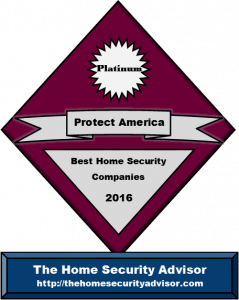 Best Price Guarantee – Protect America makes certain that you get the best price. Locate a lower price on the very same system and they’re going to meet or beat it! Protect America created the Do-It-Yourself Home Alarm System industry….but they also offer professional installation. They provide FREE equipment packages, without up-front hardware expenses, a number of monitoring alternatives, Best Price Guarantee, Lifetime Warranty as well as first-rate customer support. Whether you are looking for DIY or professional installation, Protect America is a great all around value!